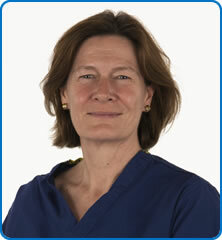 Dr Fiona Donald trained in anaesthesia in Bristol, the southwest and Oxford and became a Fellow of the Royal College of Anaesthetists in 1991. Dr Donald was appointed a consultant at Southmead Hospital, Bristol in 1997. Her main area of clinical interest is obstetric anaesthesia. She also has a longstanding interest in teaching and training and is an examiner for the Fellowship exams of the Royal College of Anaesthetists and a member of the Council of the College.